secondipity has no other items for sale. Sales tax may apply when shipping to: AL(5.0%), AZ(5.85%), AR*(6.5%), CA(7.25%), CO(2.9%), CT*(6.35%), DC(6.0%), FL(6.0%), GA*(6.0%), HI*(4.0%), ID(6.0%), IL(6.25%), IN*(7.0%), IA*, KS*(6.5%), KY*(6.0%), LA(5.0%), ME(5.5%), MD(6.0%), MA(6.25%), MI(6.0%), MN*, MS*(7.0%), MO*(4.725%), NV*(6.85%), NJ*(6.63%), NM*(5.5%), NY*(4.0%), NC*(6.75%), ND*(5.0%), OH*(6.5%), OK(4.5%), PA*(6.0%), PR(10.5%), RI*(7.0%), SC*(6.0%), SD*(4.5%), TN*(8.5%), TX*(6.25%), UT(5.95%), VT*(6.0%), VA(5.3%), WA*, WV*(6.0%), WI*(5.0%), WY(4.0%). Accurate description. Arrived quickly. Thanks! Great item! Exactly as described and super fast shipping!! Love this headset and noise cancelling is very good. Great on my last flight. Love my headphones! It's exactly what I thought it would be and more. Thanks! 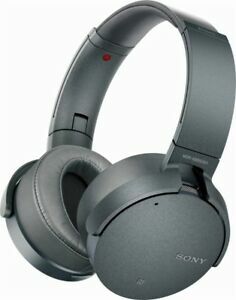 Has a great sound but the ear pads are not as comfortable on my ears.